The change in season has brought about a transformation of a parking lot in Portland's Old Port. 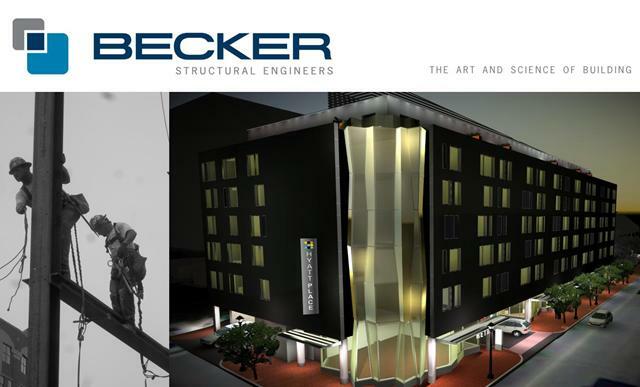 Becker Structural provided an early release structural package for the 7 story, 80,000 GSF Hyatt Place designed by Canal 5 Studio. Slated to open to the public in Spring 2014, the $14M hotel is being constructed by Consigli Construction Co. Inc. Due to low floor-to-floor heights, Girder-Slab, a proprietary structural steel product was incorporated into the structural system of precast plank and structural steel resolving any potential conflicts with mechanical systems. See a 360 degree view of the site. Rendering by Canal 5 Studio. Nestled on Portland's Back Cove, a 22,000 GSF expansion of Seaside Rehabilitation & Healthcare Center is underway. The $4.4M project designed by Foreside Architects and constructed by Ledgewood Construction provides additional living spaces and support spaces including dining rooms, community rooms and spas. 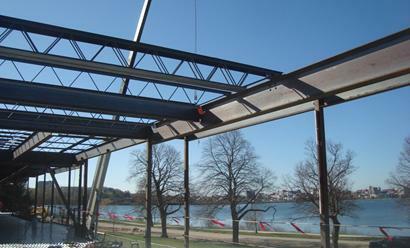 Due to fire rating requirements, Becker Structural targeted an economical structural system utilizing steel bar joists and concrete floor slabs supported by structural steel. 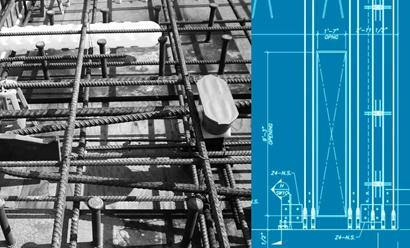 Becker Structural has completed the detailing of the shop drawings for the bed-cast concrete shearwall panels. With a majority of the slip-form core walls complete, fabrication of the bed-cast wall panels has begun. With 4 walls and a total of 18 segments, shearwall fabrication is slated to be completed in July. Those in the building industry know there are really only two seasons in Maine: winter and construction. We have numerous projects currently under construction, check our web album of current shots.